As an owner or employee of an eCommerce business, you know how vital shipping is to your business. Without it, how would your customers get their purchases? Accurate and timely shipping is especially important for B2B businesses, whose customers rely on getting their orders where and when they need them, in order to sell their own goods and services. The key to ensuring that the shipping process is seamless and easy for both business and customer: shipping integration. Integrating with am eCommerce shipping integration automates processes and can turn the complicated tasks of shipping orders into simple ones. Below are just a few of the many benefits that result from a shipping integration. One of the biggest benefits of shipping integration that you will notice right away is fewer mistakes being made. 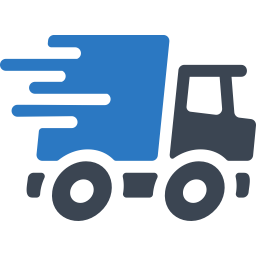 When your eCommerce is integrated with a shipping provider (or multiple shipping providers), customer data and addresses are automatically transferred and used to make a shipping label with no need to have an employer rekey the information. The shipping integration can also be set up to automatically send customers ASNs (advanced shipping notices) with tracking numbers, letting them know as soon as their package is on the way and giving them a chance to track it whenever they want to. Since the information and email is automated, you no longer run the risk of miskeying important information like tracking numbers. Another perk of integrating with an eCommerce shipping integration is being able to provide better customer service to your clients. As soon as the tracking number is available, it is automatically provided to you and your customer, enabling both of you to see where the package is at all times. This gives the customer a chance to self serve and track their order at any time. If a customer would rather call you to find out where their package is, your customer support team will be able to easily find that information and give it to the customer. 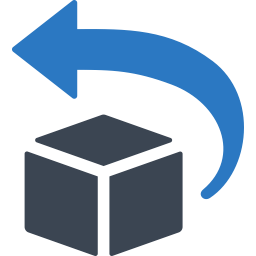 If a customer needs to return their purchase, a shipping integration will allow you to easily create and send them a return label with all the necessary information. Making tracking and returning easy for your customers are two great ways to provide better customer service and earn repeat customers. Overall, a shipping integration saves you and your employee’s time while also reducing costs. Giving your customers the option to self serve and track their own packages frees up your customer service team to respond to more pressing issues that need help or support. Having ASNs automatically created and sent to customers eliminates the need to have a salesperson write and send the email, allowing them to focus on selling more products. Integrating with multiple shipping providers enables you to compare shipping prices and save on shipping costs, savings that could even be passed on to the customer. For nearly a decade, our team of experts at Clarity has been integrating shipping solutions for our B2B and B2C clients. So much so that Clarity offers over 250 shipping integrations for your eCommerce site. Our experts can help you choose the right shipping provider or providers to integrate with to help make the shipping process as simple as possible. To find out more about shipping integration, call or click to contact us today!